Craig Hinton presenting: The Role of Tree Population Data in Promoting Tree Benefits (Research paper) at TPBE3. I am endlessly puzzled by how the academically intelligent can be so communicationally blind! In the last five years, I have spoken at eight international tree conferences and every one has suffered from the same blight; professors and peers who know so much about their chosen subject and so little about communication. Delegates don’t need complex graphs and reams of minute text feebly justified by “You won’t be able to read this, but I’m going to show you anyway”! How much of this tediom do we have to sit through before the ‘enlightened’ begin to grasp that images and stories matter so much more than their narrow technical obsessions. Two speakers broke this mould at TPBE3. It is telling that Craig Hinton (www.enspec.com) travelled furthest from Melbourne, but managed to give us high quality images, plenty of humour, and virtually no text. A great effort and worth attending for his insights on data management alone. Closer to home, Sally York MICFor, Education & Policy Advisor for Forestry Commission Scotland, stood out because of both valuable content, namely the importance of getting children closer to nature, and great images, which seems to characterise FC speakers (maybe they have good access to presenter training and images!). She also delivered the quote of the Conference “The child is the indicator species of cities.” Well done to both of them. There were three other outstanding talks; Dr Matilda van den Bosch, from the University of British Colombia, encapsulated what we all know, but never seems to be acted upon by government, i.e. the positive impact of trees and greenspace on public health. I can’t wait to get my hands on her forthcoming book Nature and Public Health. 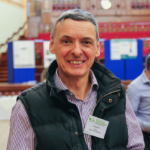 Professor Peter Duinker from Dalhousie University, Canada, brought his forestry expertise to urban tree management, and delivered some original and interesting ideas. Most useful to me was his challenge to the validity of individual/isolated tree planting if delivery of benefits is an important objective; it seems that lots of small trees planted close together provide optimum benefits quicker. Finally, James Urban, a top US landscape architect, engaged us with his insights into soil volumes needed for urban trees to flourish. Most telling from him was a direct and condemning criticism of British Standard 3882 (2015) Specification for topsoil, stating his view that it was not fit for use and specifically that we have to stop using screened soils. His observations reinforce the increasing concern in the UK that the BSI business model is failing the dissemination of important information to where it is most needed. In the clamour for engaging speakers, conference organisers invariably fail to focus on chairmen, but their quality really makes or breaks the overall event. ICF did a great job here and we had top quality chairs keeping it all on track, so well done. They were all excellent, led by Professor Alan Simson from Leeds Beckett Universtiy. Standouts were Robert Huxford from the Urban Design Group, and Julia Thrift of the TCPA. I also liked the format of short 20 minute talks with 10 minutes of questions afterwards, which seems far superior to the conventional failures of multiple track formats, often forcing the choice between two good speakers, and much longer slots, where useless speakers force deep sleep on audiences with no escape. Robert Huxford chairing session 1: ROAD SAFETY! The Contribution of Trees to making our Highways Safe. In the end, the test for me is a simple one: was is worth consuming two days of my valuable time and did it deliver value for money? It was a good effort and I’d go again. 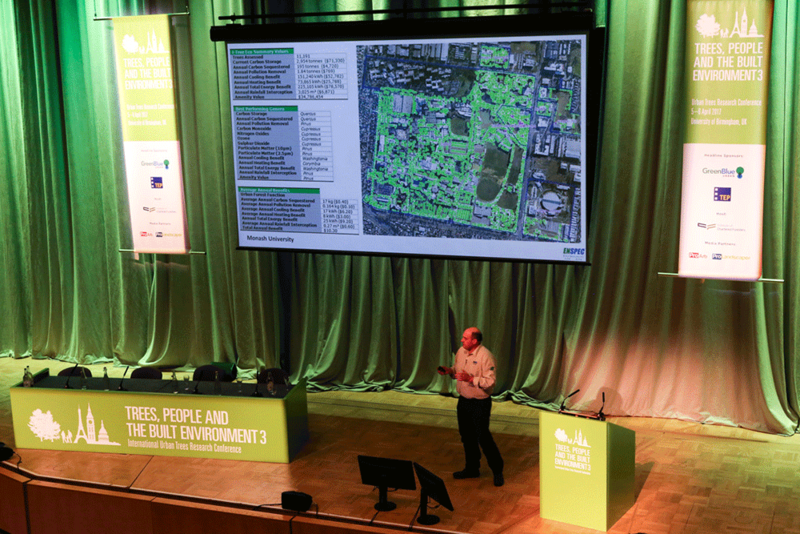 To download the TPBE3 conference presentations visit: www.charteredforesters.org/tpbe3. The availability of the research papers will be announced shortly. 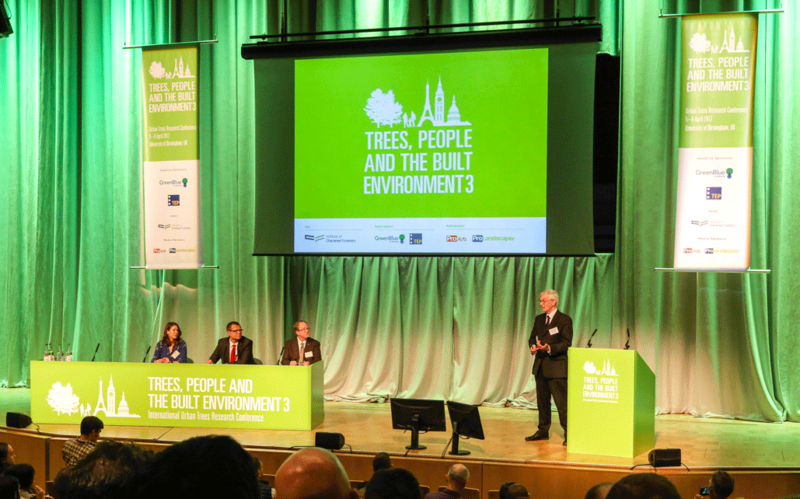 The Trees, People and the Built Environment conference will return in 2020!